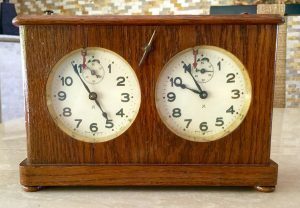 Vintage Yantar Soviet Chess Clock. 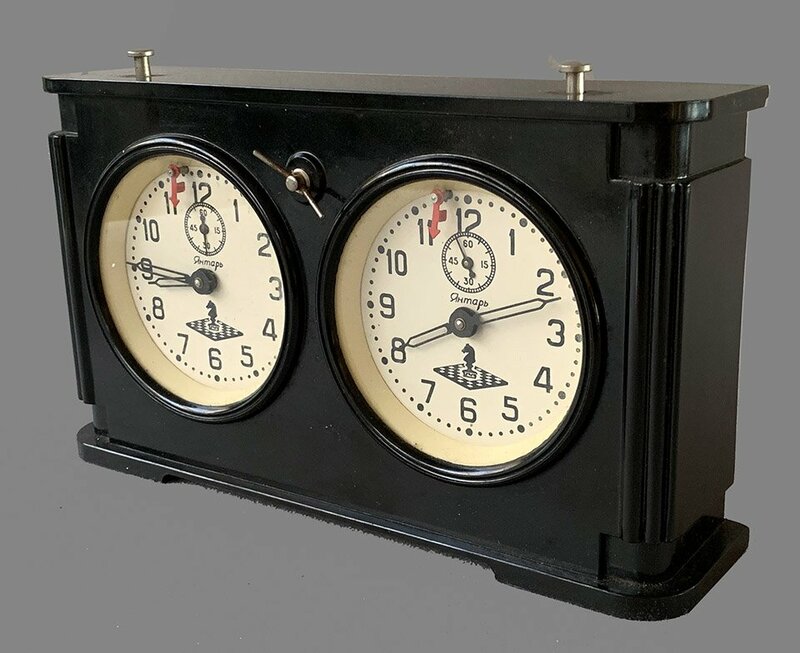 This offering features a Vintage Yantar Soviet Chess Clock made in USSR with timing mechanisms mounted within a sturdy black Bakelite housing. 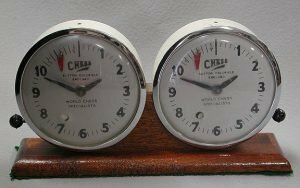 These are sometimes referred to in the West as Jantar Chess Timers. The Yantar is a four-jeweled Chess clock produced by the OChZ Orlovskiy Clock Factory “JANTAR” in the city of Orel. 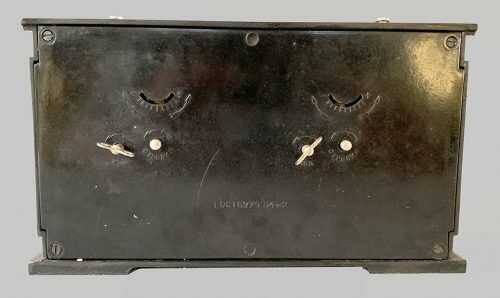 The timer measures 10.5″ wide x 6.5″ tall x 2″ deep. This mechanical analog clock is of the conventional design and features wind-up mechanisms which can be independently stopped by depressing a plunger on the top of the clock. The dial has the words “Yantar” in Cyrillic (ЯНТАРЬ) printed on its face. . The housing is in pristine condition and both the movements are in excellent working order. The Black Plastic Cased Soviet-made Yantar chess clocks date from Between 1954 and 1970. 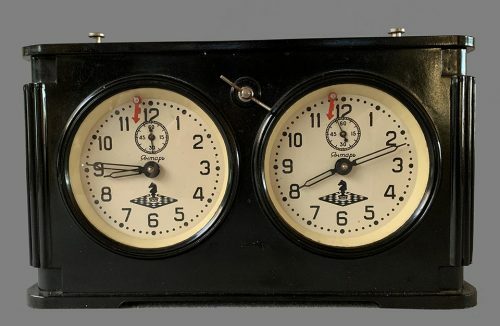 These Timers were used in many clubs and could be found in use at tournaments of all levels throughout the Soviet Union and satellite countries in the mod-late 1900s.